The beauty industry is constantly searching for new, active, botanical ingredients in order to create more effective, natural skin care products. 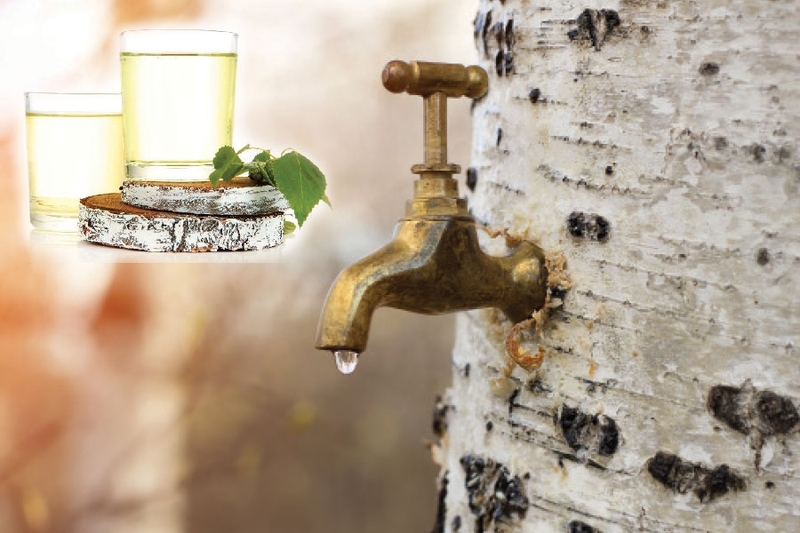 Birch juice, which is also called birch sap or birch water, is becoming increasingly popular among skin care formulators because it is a great source of detoxifying, healing, hydrating, and nourishing phytonutrients. It also has a small molecular size, which makes it readily absorbed by the skin. Birch juice has been used for centuries in Russia and other northern countries as a nutritious beverage to restore the body after long, cold winters. People used birch juice as a hair and skin tonic, as well. Research conducted in eastern Europe shows that just as birch water speeds up the growth of young leaves in the spring, so too does it stimulate the regeneration of skin cells. This makes it a fantastic antiaging ingredient that works on the cellular level. The antioxidant properties of birch juice also help protect the skin from ultraviolet rays and environmental stress by reducing oxidative damage to the DNA of skin cells. Similar to maple juice, birch juice is harvested in the early spring by drilling a hole in the trunk of a birch tree. Tapping a tree does not harm it if it is done correctly. The juice extracted from birch trees is an amazing cocktail of antioxidants and vitamins, including vitamins A, C, B3, and B5, all of which help to protect, restore, and even complexion. Birch juice also contains a beautiful, balanced blend of amino acids like citrulline, glutamine, glutamic acid, asparagine, isoleucine, and phenylalanine, which are the structural components of proteins and help to firm the skin. It is also an abundant source of natural enzymes and alpha hydroxy acids, like malic, succinic, and citric acids, which makes it work well for discolored and aging complexions. Research shows that to receive the full effect of it, formulations should contain at least 50 percent birch juice. In many cases, birch juice can be successfully used in place of water in emulsions for creams and lotions. One can also make a skin mist by using 100 percent birch juice. However, it will not stay fresh for more than a few days. Be sure to keep it in the refrigerator. Birch juice can be used to create very refreshing, rejuvenating, and hydrating skin compresses. Use organic cotton washcloths. In an organic skin care practice, one can use birch juice the same way hydrosols and plant waters are used.